... leave reality behind as you venture into the world of imagination. Let this site help find that good book by introducing the stories of H. L. Chandler. The writing includes Thrillers, Mysteries, Adventure, and other exciting fiction. The books are available in paperback, or as ebook novels. So, as the sun sets and darkness creeps over the land, settle in with a story that will take you to another realm...where the impossible becomes probable. For example, imagine this: Jessie Nolan has trouble enough. Most of the time her mild psychic ability keeps her slightly off base. While her daughter has a teenage attitude, and her son, Andy, has a powerful dose of Jessie's clairvoyance, and it terrifies him. Her husband, Stan, is out of work and tempers are flaring. When an ancient, evil Group pick Stan as their next inductee, Jessie learns what real trouble is. In 1865 in London, The Group selected Robert Milton. His family paid the price. Now, it is the Nolans turn to fight for their lives, and their souls as well. 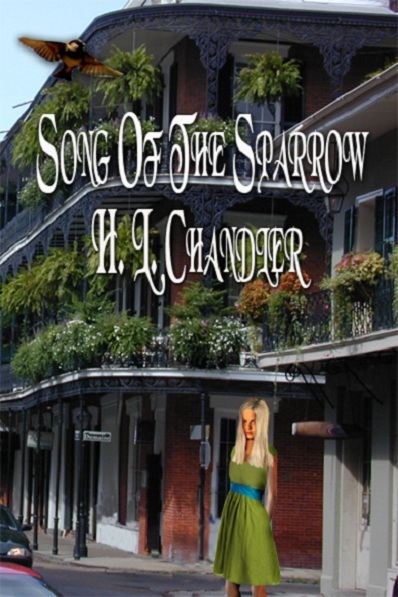 This, the first of H. L. Chandler's novels was published in 2005 by Wings ePress. Midwest Book Review had this to say about The Keepers. 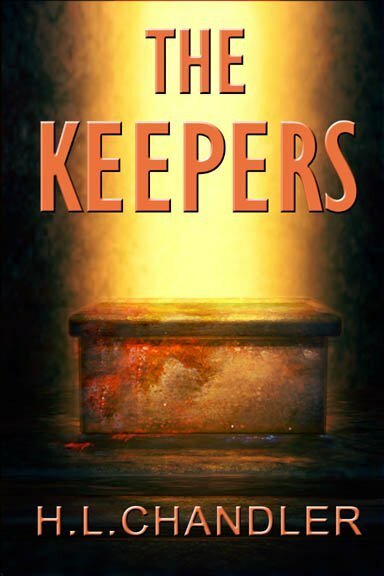 "Greed, power, and family are the themes of H. L. Chandler's novel, The Keepers. 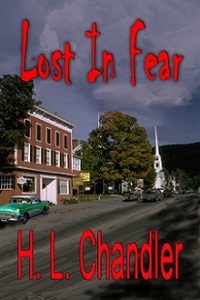 In this horror/thriller, Chandler mixes the supernatural and the strength of family in the involved and compelling tale. Chandler's writing is fluid and detailed; establishes a strong sense of place and provides the reader with an in-depth look into the souls of her characters. The Keepers is an exciting and passionate read that seduces and commands attention." Since that first novel H. L. Chandler has published nine more. 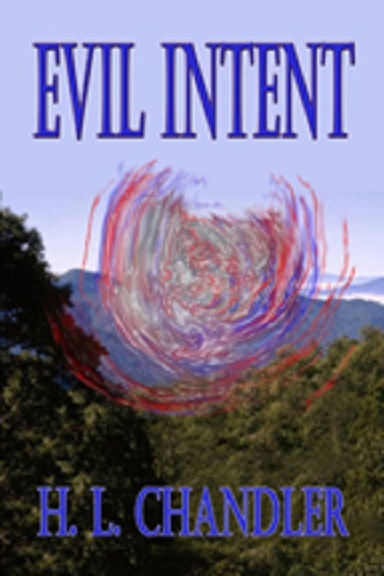 The first two, The Keepers and Evil Intent, (ISBN 13: 978-1-59705-508-2) are about family and what greed and evil can do to ordinary people in paranormal circumstances. The third novel, Song of the Sparrow,(ISBN-13:978-1-61309-980-3) is the adventures of a young brother and sister. Again, with family being the theme. Except in this story, what Lugene and Harley struggle against has no "other worldly" powers. They are facing ordinary human greed and wickedness. Which is evil enough. When Julie Taylor was ten years old, two men burst into the shanty where the Taylors lived and killed her family. As Julie watched, the men slaughtered her parents and her thirteen-year-old brother. No one denied that this happened, what they refused to believe was the reason Julie gave for the murders. The authorities believed that the night of terror left the young girl emotionally damaged. How else to account for her insistence that the men were sent by an evil demon? Julie stopped telling the story. No one ever believed her. Besides, she was busy enough protecting herself from the wicked killer. Fifteen years later Julie was still looking for safety. She needed a place of peace and security, a place to hide. Julie picked a small southern town. Nothing much ever happened in Oak Grove and that suited Julie fine. Still, the summer Julie moves to Oak Grove a black cloud of horror settles over the town. Julie discovers the body of a murdered woman. Later, the dead woman's daughter swears that her mother has returned from the grave. She blames Julie. Murder, suicide, madness, and strange accidents visit Oak Grove. The townspeople are stunned and terrified. Only Julie knows what is wrong. The monster had found her and Oak Grove has become their battlefield. Matt Sheldon, conducting a study of children who witnessed a family massacre, followed Julie to Oak Grove to interview her. When Matt becomes emotionally involved, he loses his objectivity. Julie finally trusts Matt enough to tell him the story. However, Matt, like the others, comes to believe Julie is mentally ill. Julie is again alone in her battle. Julie's renewed determination to confront and deal with her monster buries Matt under a load of guilt. Did his coming to Oak Grove to dig into her terrible past bring on this breakdown? Is she insane? Or, is Julie's story true? In the end, Matt will know and share her horror. Click on the Additional Novels tab. There you'll find the latest books, such as Sure and Certain Shadows. This one is about how Ingrid became trapped in another universe. Will she get home? A wild adventure with a lot of space theory. And then there is: Legion's Land, Published in 2017, Sure and Certain Shadows in 2018, and Rest Beyond the River in 2019 If you like mystery novels check out: Hoodoo Murder, Murder Bayou, and Mystery at Sunset Ridge.